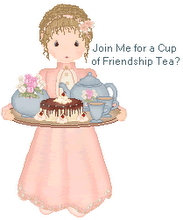 There are several Tea Blog directories on the internet. Tea Pages Blog hosts one of them. Click here to see Katrinia's list of tea blogs at Tea Pages™ for many entertaining and educational tea reads. By the way, some of them will be very familiar. It's always fun to find some new tea blogs to explore. Thanks for the link. Thank you for posting the link to the tea blogs!